If someone had asked me what was the oldest building in Edinburgh, I would have thought vaguely of the Old Town, the dark houses along the Royal Mile, or Holyrood Abbey. 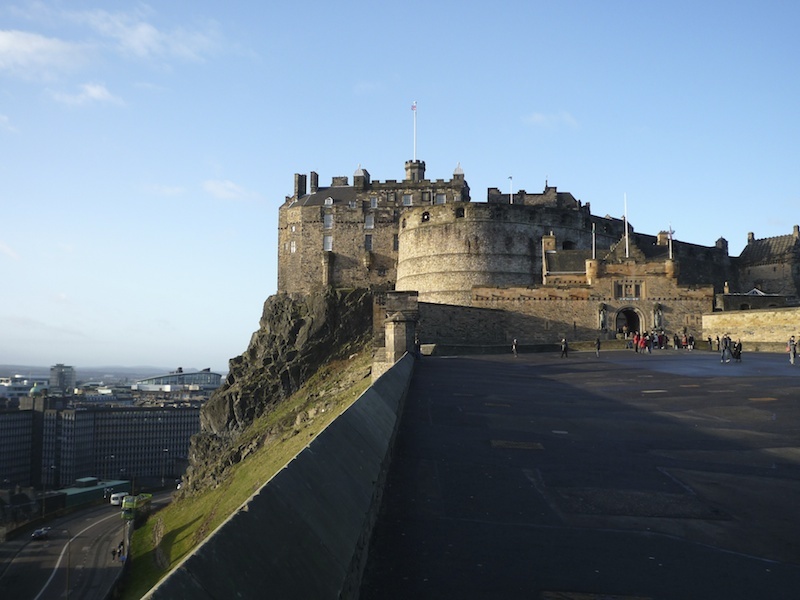 As for Edinburgh Castle, most of the visible structure dates from the 16th Century, since it was largely destroyed following the ‘Lang Siege’ in 1573, which culminated in a massive cannon bombardment by English troops. When we visited Edinburgh Castle a couple of weeks ago, I was therefore surprised to find that St Margaret’s Chapel, a tiny rectangular building perched on a lump of black volcanic rock within the castle walls, is actually the oldest building in Edinburgh. Traditionally, it was believed that St Margaret – formerly Queen Margaret, the wife of Malcolm III of Scotland, and mother of David I – worshipped at the chapel. 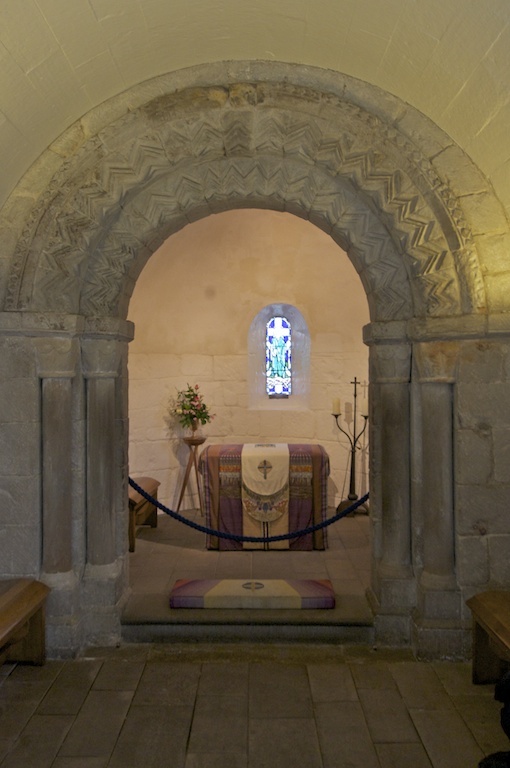 However, recent research has shown that the chapel was probably built by David I in 1130 and dedicated to his mother, who died at Edinburgh Castle in 1093. Margaret was a very interesting and strong-minded lady. She was born in 1046 in Hungary, where the English royal family was living in exile after the Danes, headed by King Canute, had overrun much of England. As an English princess, she was sister to the uncrowned Edgar Atheling and traced her ancestry back through Edmund Ironside and King Alfred. Royal lineage didn’t do Margaret much good, however; in 1066 England was again under attack, this time from the Normans. To escape them, Margaret and her family boarded a boat from Northumberland and set sail for the continent, but strong winds took them north to Scotland, where they made landfall in the south of Fife. The royal party was met by Malcolm III of Scotland, who offered them protection and immediately fell in love with the beautiful and devout Margaret. They were married in Dunfermline in 1069. As Neil Oliver says in his recent book, ‘A History of Scotland’, “Malcolm and Margaret together became a legend – a legend that is in truth much more about her than him.” Margaret soon became known for her kindness and for her devotion to her faith. Although Malcolm never learned to read or write, Margaret would apparently read to him from the scriptures, and she helped to soften his warlike nature. But Margaret’s influence extended way beyond her husband. She reformed the church in Scotland and brought it more in line with Rome; she replaced the native Gaelic with Latin for the celebration of Mass (which didn’t go down too well with many of her subjects); she promoted the sanctity of the Sabbath, allowing a rest day for ordinary people; and she founded a number of churches and monasteries. Keen to attract more interest in the shrine of St Andrew, Margaret also established a ferry over the Forth estuary, making the journey a much easier one for pilgrims. The towns of North and South Queensferry are named in her honour. Margaret bore Malcolm eight children, including six sons. 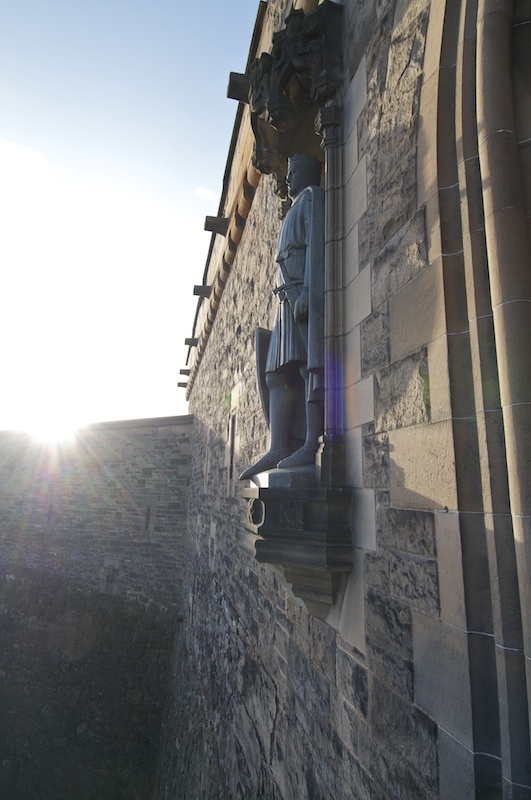 Three of them, Edgar, Alexander and David, would become kings of Scotland in their time. But tragedy struck Margaret’s blessed existence in 1093 when Malcolm was killed in a raid on Northumbria, a territory which he had long believed was the rightful property of the Scots. Their eldest son, Edward, was also killed. Heartbroken, Margaret took to her bed and died within a month. In 1124 David became the last of Margaret’s sons to succeed to the throne of Scotland. In her honour, he founded the little chapel on top of the castle rock in Edinburgh. With echoes of early Christian chapels elsewhere in Scotland, its walls are two feet thick, and it has an internal width of only ten feet, with a 16-foot nave. Originally, the chapel may have been incorporated into a larger part of the castle that has since been demolished. Despite the fact that Edinburgh Castle suffered repeated attacks and, in 1314, almost complete destruction by forces acting under Robert the Bruce, St Margaret’s Chapel has somehow survived. In fact, on his death bed in 1329, Robert the Bruce paid tribute to Queen Margaret (who was canonised by Pope Innocent IV in 1250), and issued instructions for the upkeep of her chapel. 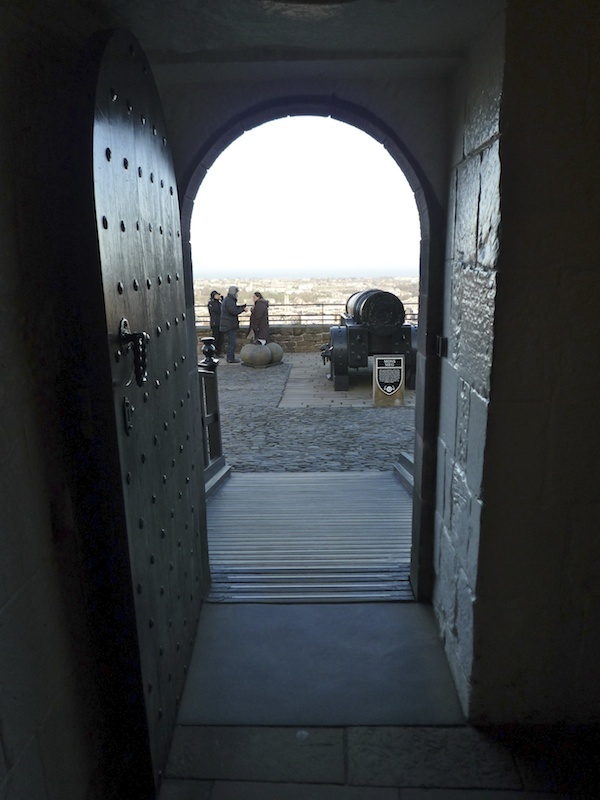 There are records of the chapel being used regularly as a place of worship in the 1300s, but from the 17th century until about 1845 it fell into disrepair and was used as a store for gunpowder. Restoration work was carried out in 1853, and in 1922 the small round-headed windows were adorned with beautiful stained glass by Douglas Strachan, illustrating St Andrew, St Margaret, St Columba and William Wallace. 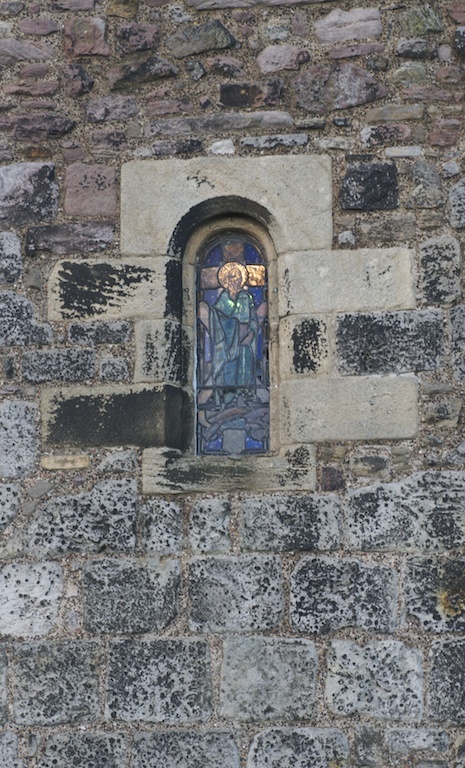 In 1942, the St Margaret’s Chapel Guild was established, with the purpose of upholding the teachings and principles of St Margaret, and encouraging the use of the chapel for worship. In accordance with tradition, those members of the Guild who bear the name of Margaret place flowers in the chapel every week, to welcome tourists and other worshippers. In contrast to the dark, oak-panelled walls of the Royal Apartments, this simple sanctuary has a light, restful feeling, and it still enjoys wonderful views across the Firth of Forth. This is a wonderful history lesson and great photos too!!! That’s very true! Already an ancient place in her time.